Earnings revision strategies have been regularly used by market participants for predicting stock price return or stock selection. 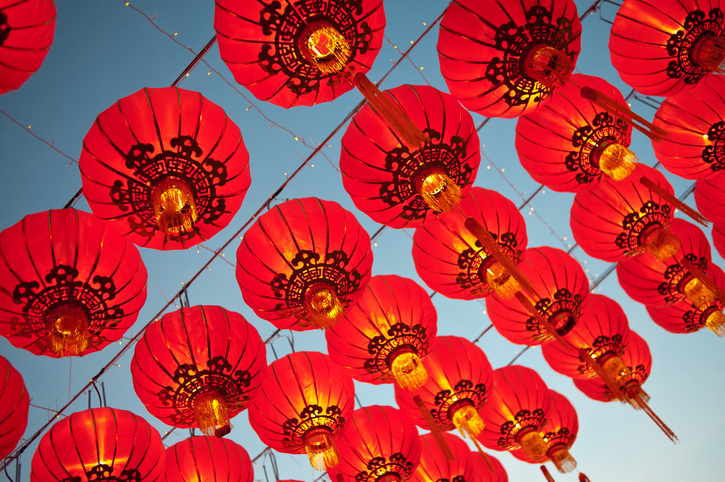 Research by S&P Dow Jones Indices looked at earnings revision strategies across seven Pan Asian markets: Australia, China, Hong Kong, India, Japan, South Korea, and Taiwan. The study was based on signals from companies’ three-month change in EPS estimates and three-month diffusion of EPS estimates between Dec. 31, 2005, and Dec. 31, 2016. The results of the study suggested that stock prices tended to move in the same direction as their earnings revisions in the majority of the Pan Asian markets. The earnings revision strategies delivered the most pronounced and significant excess return in South Korea, India, and Taiwan, but they did not work in Japan. Market participants generally had stronger reactions to the net percentage of upward and downward revisions in the earnings estimates rather than the percentage change of the consensus earnings estimate figures. Companies with poor earnings revisions tended to have more volatile returns, as market participants reacted negatively to companies with downward revisions in estimates. We also noticed that market participants tended to penalize stocks with poor earnings revisions more when the market was in a downward trend. 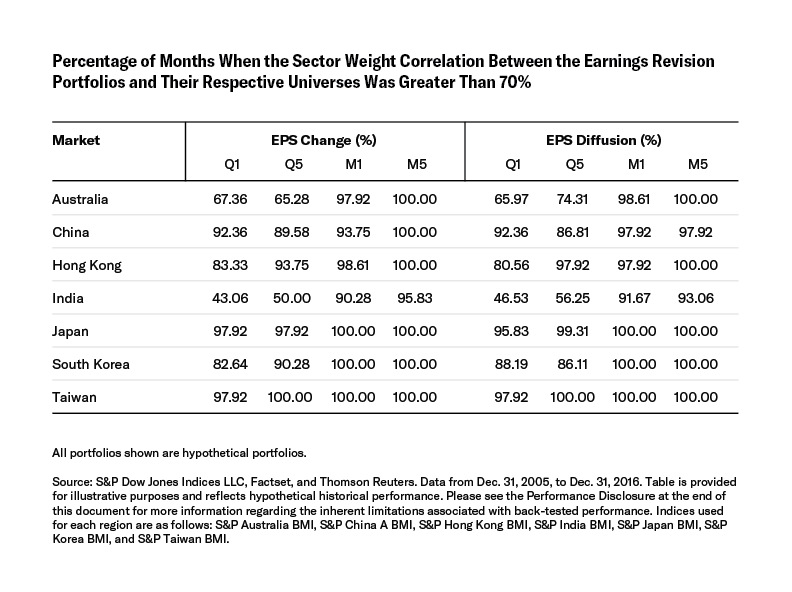 Based on our earnings revision quintile portfolios, selecting stocks by earnings revision strategies in Pan Asian markets did not result in a strong sector or size bias in the portfolios, and therefore, the excess returns from earnings revision strategies were not likely dominated by sector or size allocation bias. 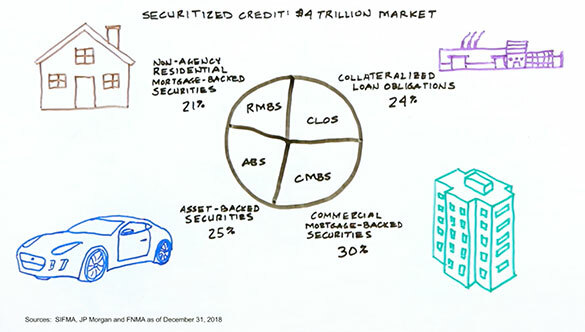 Our further analysis of the sector-neutral top quintile and median earnings revision portfolios confirmed the efficacy of earnings revision strategies in the Pan Asian markets to be free from sector allocation bias. However, excess returns for the large-mid-cap and small-cap median earnings revision portfolios indicated that the earnings revision strategies tended to generate more alpha in the small-cap than the large-mid-cap universe. Similar to momentum strategies, earnings revision strategies had high portfolio turnover. Implementing this strategy in combination with other fundamental factors to lower the turnover may be more practical than implementing it as a single-factor strategy. We also found that excess returns from the portfolios became much less pronounced and lost significance when the portfolios were weighted by market cap. An alternative weighting method to strengthen the earnings revision signals would be essential in order to capture the alpha of the earnings revision strategies.